The bull market is back, even as tariffs eat into companies' profits. 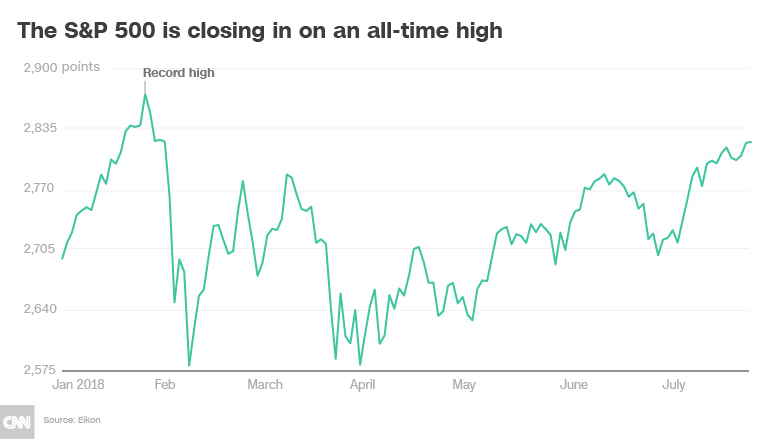 The S&P 500 is rapidly closing in on an all-time high. It's less than 1% away from the record set in January before rising interest rates freaked out investors. The comeback hasn't been driven by bargain-hunting investors scooping up stocks on the cheap. Since the market bottomed in early April, the hottest stocks have been the priciest ones. The 50 S&P 500 stocks with the highest trailing price-to-earnings ratios have soared by about 13% over that span, according to Bespoke Investment Group. That's about six times the gain of the stocks with the lowest valuations. Why are people piling into the most expensive corner of the market? It could be a sign that investors are flocking to the highest-quality stocks -- ones that offer safety from tariffs and the risk that the roaring economy will slow down. But that safety comes at a price: higher valuations. 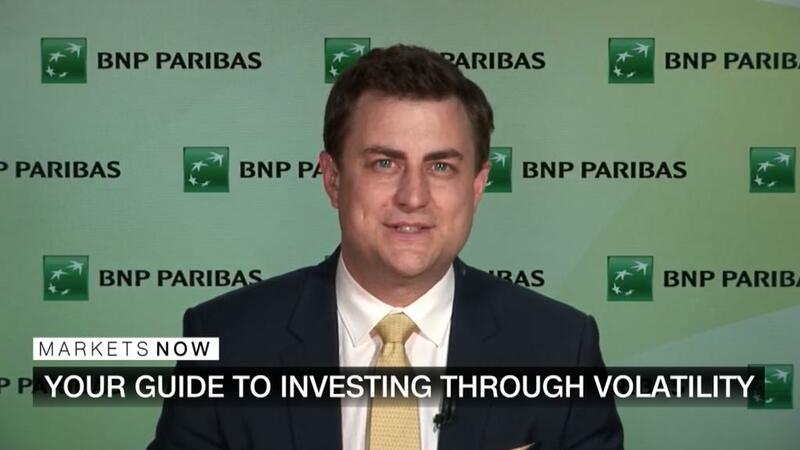 "This is exactly the time in the cycle that you would expect to pay up for high-quality companies," said Richard Turnill, BlackRock's global chief investment strategist. "This is not unusual as cycles mature." High-quality companies are ones that have sturdy balance sheets and a strong track record of growing profits. They should be better positioned to survive a market storm than ones with high levels of debt and volatile earnings. Bespoke's analysis found that it wasn't just expensive stocks that were leading the market comeback. Other winners included stocks that have strong ratings from analysts and high levels of institutional ownership. In other words, they're higher quality. "Quality has performed extremely well," said Turnill. Even though the bull market may be back on track, risks abound. The Federal Reserve continues to gradually raise interest rates from the extremely low rates that investors became addicted to. That added turbulence to the market, including currency crashes that have rocked emerging markets like Argentina and Turkey. Meanwhile, the United States and China, the world's two largest economies, are in a trade war with no end in sight. Washington is also clashing with the European Union, Mexico, Canada and others on trade. The trade fights threaten to derail blockbuster corporate earnings as well as the US economy, which economists expect grew at a very strong pace of 4% or higher during the second quarter. An escalation of trade tensions -- new tariffs on $2 trillion of trade flows -- will slash global growth by 0.4% in 2019, Fitch Ratings predicted on Wednesday. "Economic uncertainty has increased materially," said Turnill. "You still want to be in risk assets, but you need to focus on the more resilient areas of the market."